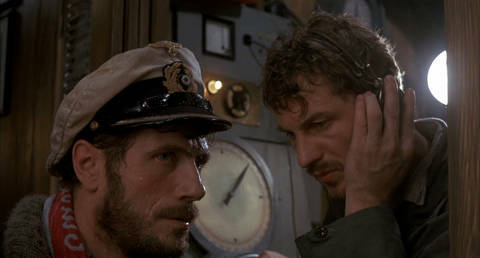 da Blog On Disc: 30th Anniversary Blu-ray debut of Wolfgang Petersen's classic "Das Boot"
Das Boot was a sensation when it debuted in its 2½-hour theatrical version in 1981, for the first time putting a human face on the simplistic caricatures of German soldiers that had populated motion pictures since World War II. As a German-American dual citizen by birth who grew up opposed to war, the film had great resonance with me, so I was honored to be chosen to edit 70 minutes of behind-the-scenes material for SONY Pictures Home Entertainment’s Blu-ray release on the occasion of the film’s 30th anniversary. This 2011 edition contains both the original theatrical cut and the unparalleled 3½-hour director’s cut. The movie also stands as one of the best examples of the use of sound in film. The Blu-ray extras were later nominated for “Best Extra Features” by the International Press Academy, alongside nominees Blue Velvet, Planet Earth, Super 8, and the year’s winner, Star Wars: The Complete Saga.